As a daily moisturizer – safety-tested to be non-phototoxic so you can apply this glow-inducing potion both morning and night without a worry. As a booster – add one pump of Vitamin C Serum to your favorite face oil or cream for an extra dose of skin beneficial nutrients. When and how do you love to use the Vitamin C Serum? I love to use this product morning and night! We have had it tested to be non-phototoxic which means you can wear it in the daytime without worrying about additional sun damage caused by any of the ingredients in the formula, and it’s super moisturizing which makes it feel like such a treat at night. It leaves my skin so dewy but never greasy. I have super sensitive and reactive skin. I could not use any Vitamin C Serum that I had tried before because it irritated my skin and made it red. I learned that traditional Vitamin C Serums with l-ascorbic can be exfoliating, can oxidize easily and thus be irritating to some skin types. 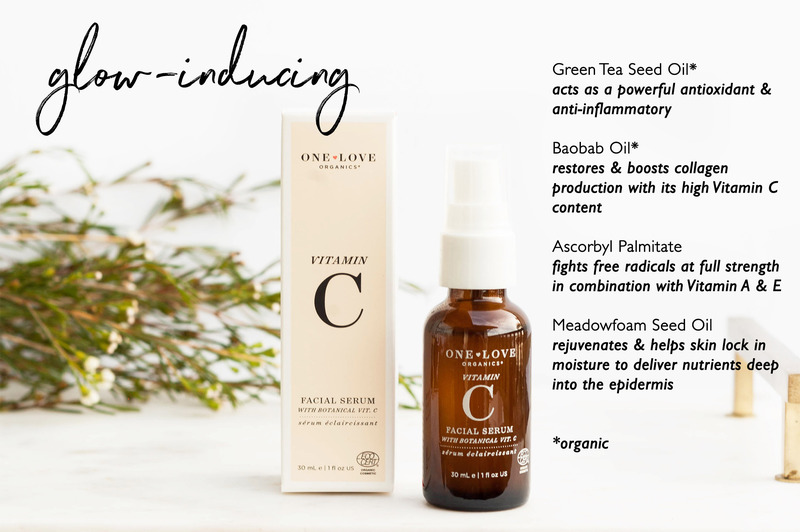 I was inspired to formulate a serum that was naturally rich in C from plants – potent sources like baobab, acerola, sea buckthorn, hops and coupled that with the more stable and moisturizing Vitamin C Ester – and the C is boosted by antioxidants found in Vitamin E and green tea, which are also in the formula. ​We use a special blend of powerful antioxidants to nourish the skin and help with free radical damage caused by environmental elements. This powerful blend of antioxidants also helps to keep the formula fresh for one year. We did stability testing and typically, plant oils will start to lose potency in about 6 months. The blend we put in for the skin actually helped to keep this formula fresh and stable for one solid year! 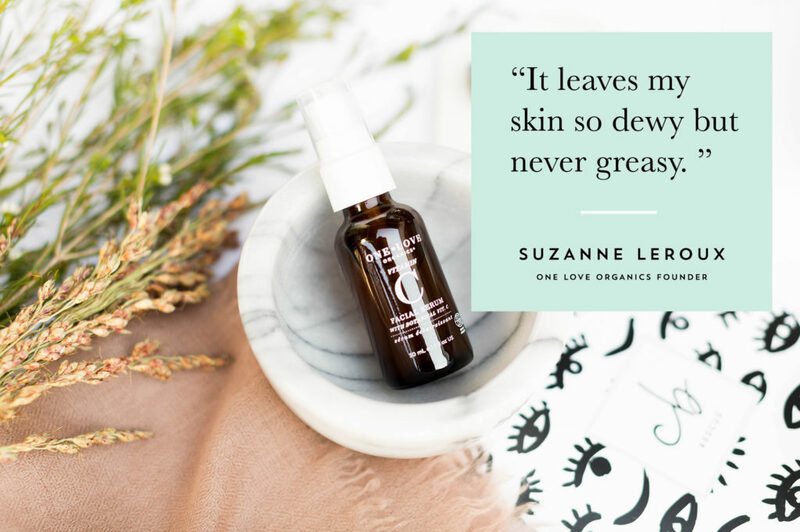 It’s truly amazing for both Vitamin C Serums and facial oil blends.